His Beatitude Sviatoslav, the Major Archbishop of Kyiv, Ukraine and head of the Ukrainian Catholic Church worldwide, arrived in Winnipeg for a week-long pastoral visit that will be followed by a meeting of the Synod of Bishops of that Church. The large crowd, many dressed in Ukrainian traditional costume, boldly sang “Blessed is he who comes in the name of the Lord!” as the “father and head” of their thousand-year-old Church descended the escalator into the arrivals hall of Richardson International Airport. Sviatoslav, the surprisingly young principal hierarch of the Church – referred to by as many as “Patriarch” – is making his first pastoral visit to Winnipeg since his election last year. Winnipeg is the Archiepiscopal See of Most Rev. Lawrence Huculak, the Metropolitan of Canada for Ukrainian Catholics. After Metropolitan Lawrence welcome him, he was met by representatives of the young people of Manitoba – those in church organizations and those from the Ukrainian scout organizations SUM and PLAST. Greeting him in both English and Ukrainian, they presented him with traditional Ukrainian symbols of welcome: bread and salt. His Beatitude – visibly moved by what he referred to as an “overwhelming welcome” – responded to the crowd mainly in English. He did not speak very long, because he said that they would have many opportunities to meet in the days ahead. He will visit a number of parishes and pastoral centres. Three of the principal events are the Divine Liturgy at Sts. Volodymr and Olha Cathedral on Sunday, September 9th and a Gala Banquet the following Sunday. 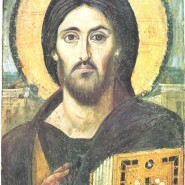 After his visit, His Beatitude will chair the Synod of the Ukrainian Catholic Church. The participants are all the Bishops of the Ukrainian Catholic Church from around world. They have never convened in Canada before and may never do so again. The week-long Synod to follow takes place outside of Winnipeg and will discuss many matters common to the faithful of the Ukrainian Catholic Church around the world. The principal theme of this convocation is “laity and the Evangelization”. However, they will deal with a wide variety of pressing matters. The Synod fathers now number forty nine, but due to various issues not all will be able to attend. 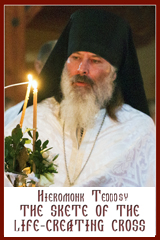 His Beatitude Sviatoslav will depart from Winnipeg on September 18th to continue his visit to Canada in Saskatchewan. At the close of his visit to Canada, he will address the plenary session of the Canadian Conference of Catholic Bishops toward the end of September.